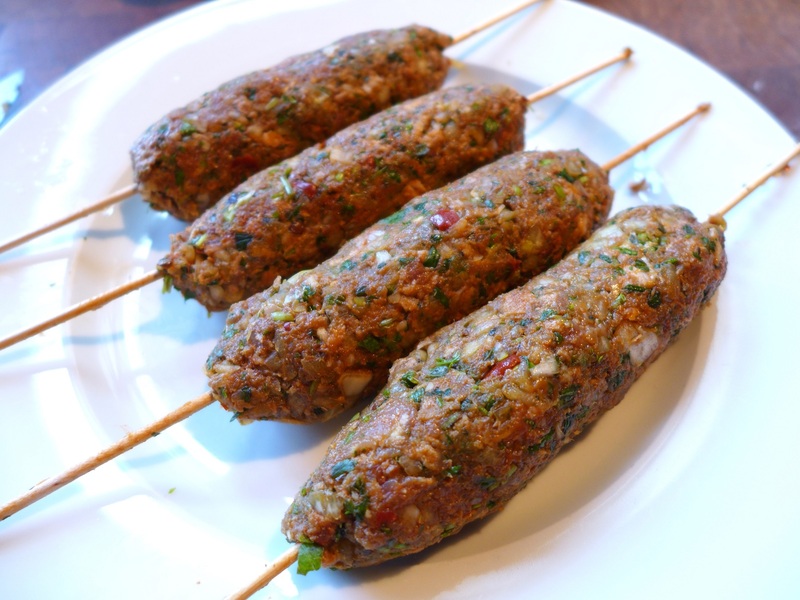 These spicy kebabs are easy to make, quick to cook and pack quite a punch. They’re perfect for barbecues but can be cooked on a grill … and if forming them on skewers is just too much faff, make them into meatballs and fry them in a pan. Simples. Try serving them with Indian flatbreads, lemon to squeeze over and maybe a garlic and mint yoghurt sauce. Pre-heat a barbecue or heat a grill to high. Mix together all the ingredients except the oil and place in the fridge for at least a couple of hours, or overnight, to develop the flavours and allow the mix to firm up. Divide the mixture into four equal portions and form it round four wooden skewers (it tends to fall off metal skewers) to create an even sausage shape. Try to squash it on as firmly as possible. 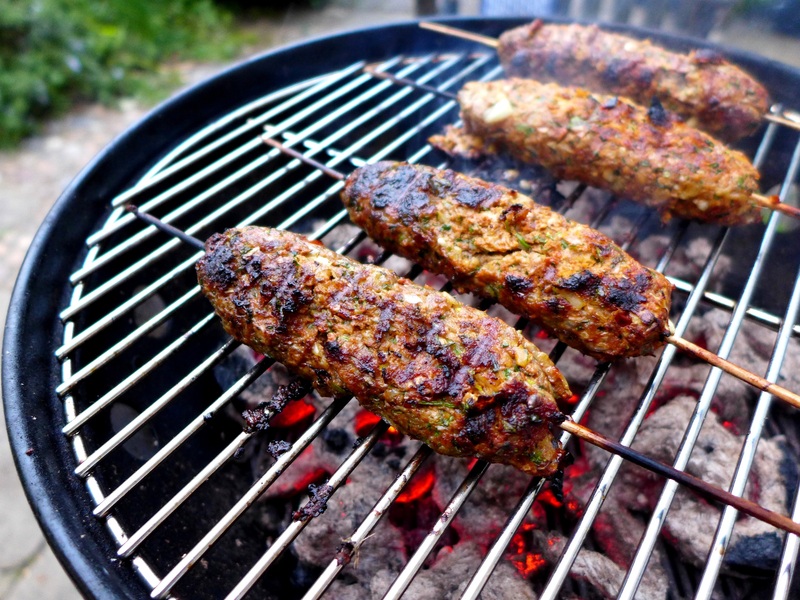 Brush liberally with oil, otherwise they’ll stick, and barbecue or grill for about 10 minutes, turning carefully, until the kebabs are browned all over. 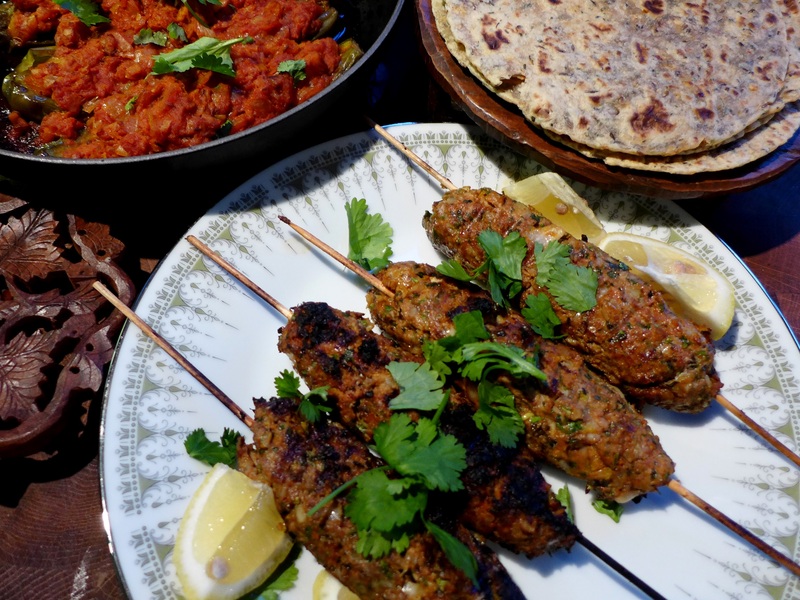 This entry was posted in Lamb and kid, Mains and tagged Indian recipes, lamb kofta kebabs, spicy lamb mince kebabs by Linda Duffin. Bookmark the permalink. Delicious. When Canadian daughter threatens us with coming home, these are always on the menu. Though, my recipe is a put together on the day sort of thing. I love them.